Testimonials to ICE's world class reputation. We believe we deliver a great product at ICE, but don't just take our word for it. Here is what some of the thousands of instructors who have trained with ICE thought of their course. Having spent the 13/14 winter season with ICE on the Level 3 training course, I can say without any doubt that it was the best investment I've ever made - there is simply no way I would of completed levels 1 to 3 in my first season without the exceptional training and support that these guys have provided. The vibe is incredible, organisation is slick, the professionalism, friendliness and dedication of the trainers is second to none. As for the value for money, there is no other course out there like this - it is structured in a way that you are able to complete all of the Level 3 modules in one resort, in one season, saving you both money and hassle. 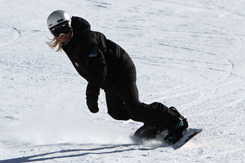 I would recommend ICE to anyone who is serious about progressing their career as a snowsports instructor. 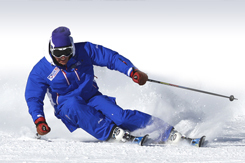 I attended the L2 Snowboard Instructor course ran in Val d'Isere which commenced on the 21st April 2014 through the BASI EBP - ICE. I just wanted to drop you a line to say thanks so much to the guys at ICE and let BASI know as a trainee I was very impressed and pleased to have used ICE. I will definitely recommend them to other trainees I know. Sue Woollard Mum of Ross who is now 20 and trained with ICE after completing his A levels. The ICE ISIA course is a fantastic way of completing modules in a short time frame. It is a cost effective method in comparison to travel, accommodation and lift pass to complete modules in other resort throughout the Alps. 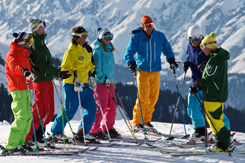 As well as completing ISIA modules it also prepares you for futures modules with ski training that is of the highest quality. I would advice anyone searching for a high quality, enjoyable ISIA course to choose ICE. Just a quick email to say a massive thank you to you guys and everyone else involved with the 6 weeks of the course, they were 6 of the best weeks of my life- hands down. Your course was immense and definitely an experience that I know we will all remember for the good times! It was great to be taught by such a professional and experienced outfit. Thanks guys for an incredible 10 weeks, couldn't recommend it enough to anyone. Currently trying to convince my sister that experiences like this are the reason why she should take a gap year. 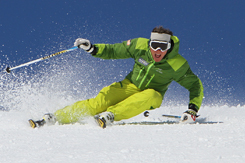 The ICE course offers excellent training to improve your skiing to its maximum potential. Definitely worth the time and every single cent. Couldn't have asked for more from my BASI training. 'Twas magic! Thank you so much for a brilliant 6 weeks. A great 2 weeks. Simon, our trainer ensured that everyone gained a massive amount of technical ability whilst providing us with plenty of information to prepare us for the world of snowboard instruction. Fun and relaxed, whilst always informative and encouraging. Thank you! Having done CASI 2, I can safely say that BASI 2 has been much more of a challenge, but I have really enjoyed learning new things and constantly being tested. Had the time of my life, I could write an essay but really all I want to say can be summed up in two words - frikin' awesome!! I had a fantastic time during the course. My skiing has really improved and it has opened my eyes to a career in a sport that I love. Thanks for all the support and advice. I think you guys have done an amazing job. What can I say, all in all, 12 out of 10. Easily some of the best weeks of my life. Everyone was helpful right from signing up on the course to the day we left. Truly one of the greatest things I have ever done. The skiing, the people, the place. ALL AMAZING! I really like skiing, and I was good at it before. Now I am the best skier on the mountain - with the goggle marks of a God (Ski God). Life is good. Madeleine Lewis (18), in trademark modest style. Just amazed at how much I learned. Just cannot wait to get out in the open and shake my stuff. This course has been extremely enjoyable. The ski teaching is way above anything I have ever experienced and my skiing has improved exponentially. All other aspects of the course are a lot of fun too. Amazing skiing, amazing people and definitely something I would do all over again! Had a wicked time. 10 weeks have flown by. My personal goals have been achieved. It has been unreal, really fun and I am gutted to be going. - The skiing was good too! Experience of a life time. Would recommend to anyone who loves to ski. One of the best decisions I made for my Gap Year. Everyone involved has been supportive and friendly. I have loved it. Tres bon, messieurs, tres bon. A really top course, I am going to destroy my brothers at skiing now! Live fast, die young? Live too bloody fast sometimes...but die old. Vis a vis, ergo, good course! ICE helped me find myself...and I love me. And I also like wedding dresses uk. They told me that the older participants on the ICE 6 week course enjoyed it more and more as each week passed. This I found to be ture - highly recommended - you skiing will improve too! Great skiing and a personal experience that has led me towards professional skiing. I had an amazing time, improved my skiing more than I ever thought I would and from the help and advice of my trainers, I am going straight into Level 3 training. Where did the 10 weeks go? Testament to a great course and instructors. Best 6 weeks of my life - it's never too late! Fab course, fab people, fab time. Best thing I have done in the last 10 years! I loved every moment and it feels fantastic to now consider myself a Level 2 ski instructor. Thanks for everything. Really enjoyed my six weeks with ICE. Met loads of great people and the skiing was top quality. Loved the course, had a great six weeks, didn't regret a thing.